Macau International Airport operates 24 hours a day, with many visitors entering the territory via numerous major cities around the region. 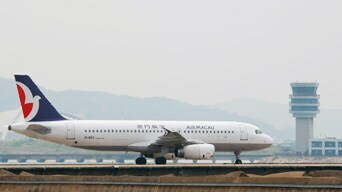 For detailed information on flight schedules, please visit http://www.macau-airport.com/ or dial +853 2886 1111. All major hotels provide a pick-up service which can be booked in advance or arranged upon arrival. Taxis are conveniently available from the taxi rank outside the airport. A surcharge of MOP5.00 is applicable, with each item of luggage carried in the boot charged at MOP3.00. A number of buses serving the airport – marked AP1, AP1X, MT1, MT2, MT4, N2, 26, 36 & 51A - criss-cross the city and stop at major hotels. Macau International Airport is strategically located in Taipa near various ports and convenient transportation routes. Depending on traffic flow, it takes about 15 minutes to travel by car from the airport to Outer Harbour Ferry Terminal on Macao Peninsula, 5 minutes to the nearby Taipa Ferry Terminal, 20 minutes to the Border Gate, 10 minutes to the Lotus Bridge COTAI Frontier Post, 20 minutes to the central district on Macao Peninsula, and 10 minutes to Taipa Village. The airport is well served by air-conditioned taxis, public buses and hotel shuttle buses. The helicopter service from Hong Kong and Shenzhen provides a convenient, upscale option for visitors wishing to quickly reach Macao. 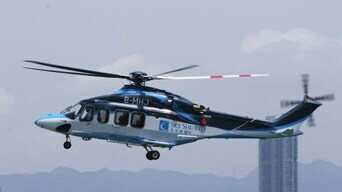 Sky Shuttle Helicopters Limited (Sky Shuttle) operates helicopters between the rooftop helipads of Shun Tak Centre (Sheung Wan, Hong Kong) and Outer Harbour Ferry Terminal (Macao Peninsula). Each flight takes approximately 15 minutes. A helicopter service between Shenzhen Baoan International Airport, PRC and the rooftop helipad of Outer Harbour Ferry Terminal (Macao Peninsula) is also available. The journey takes about 15 minutes during the day and approximately 25 minutes at night. An airport ferry service is available for passengers travelling to Macao via Hong Kong International Airport. Passengers can arrive in or depart from Macao via Hong Kong International Airport as a transit stop without having to pass through Hong Kong Customs and Immigration formalities and also without the inconvenience of carrying their luggage to the Ferry Terminal. The ferry trip from Hong Kong International Airport to Macao takes approximately 70 minutes. First, take the Airport Express to Hong Kong Station in Central (Operating Hours: 05:54 a.m. - 00:48 a.m. daily) then take a taxi to Hong Kong-Macau Ferry Terminal (Shun Tak Centre, Hong Kong). Route A11: Travellers should get off at the "Macau Ferry, Connaught Road Central" bus stop (Operating Hours: 05:35 a.m. - 00:30 a.m.). Route N11: Travellers should get off at the "Central (Macau Ferry)" bus stop (Operating Hours: 00:50 a.m. - 04:50 a.m.). Taxis from Hong Kong International Airport take about 30 minutes to reach Hong Kong-Macau Ferry Terminal (Shun Tak Centre, Hong Kong), subject to the prevailing traffic situation. Hire a taxi upon arrival; not far.